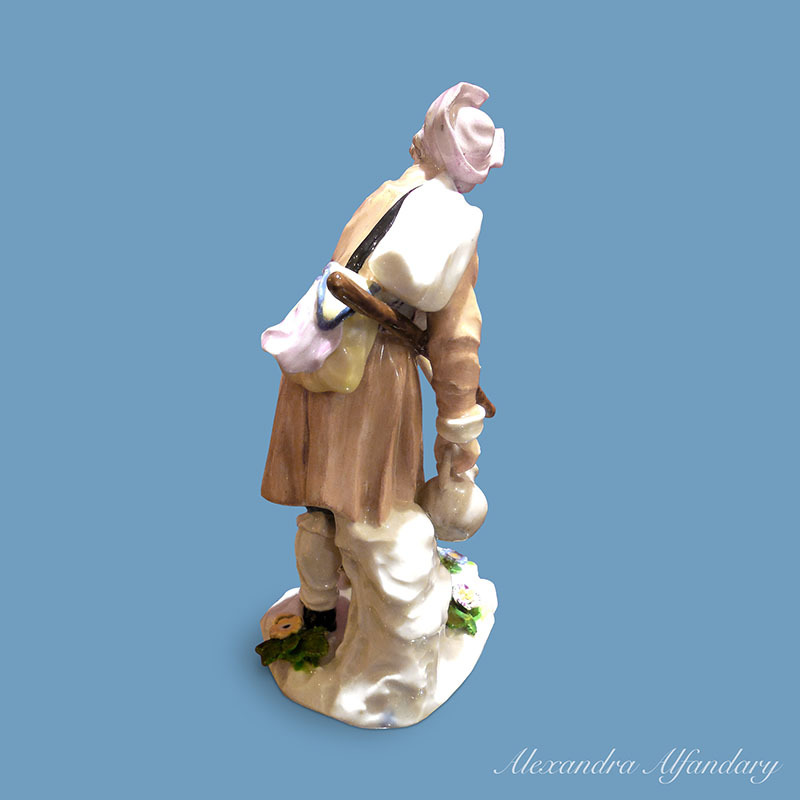 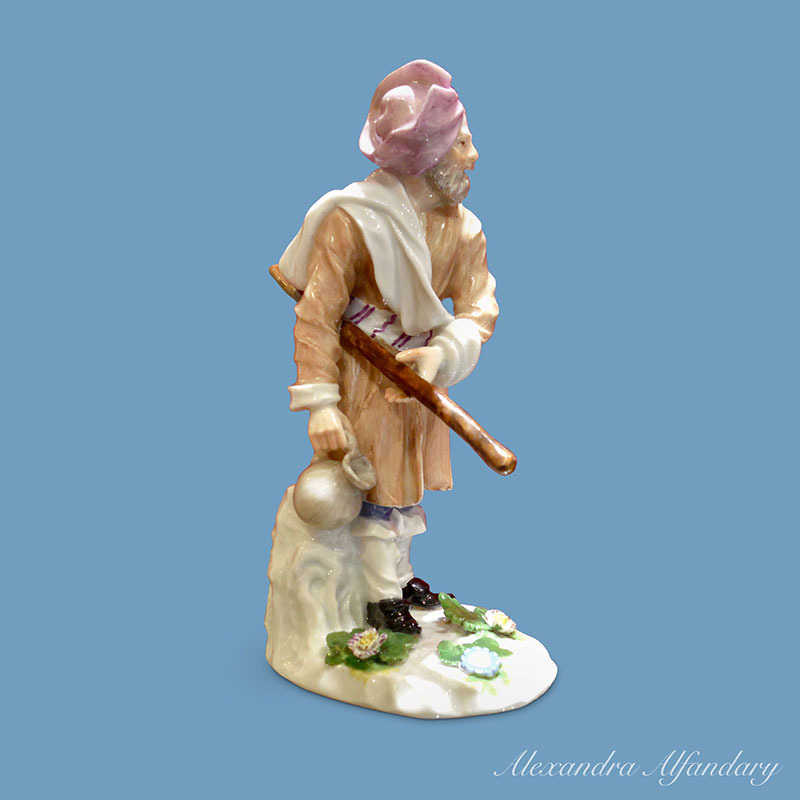 This highly collectable 18th century Meissen Cris de St. Petersburg Figure of a Russian peasant, modeller P. Reinicke, is dated c. 1750. 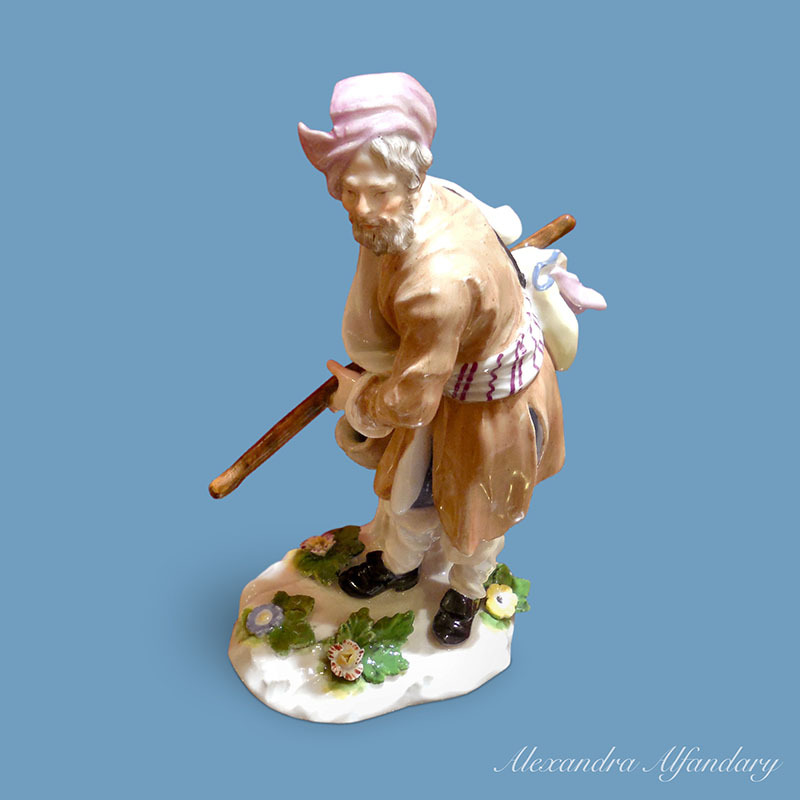 The bearded figure is holding a jug and staff and wears a satchel over his shoulder, the base applied with flowers and leaves. 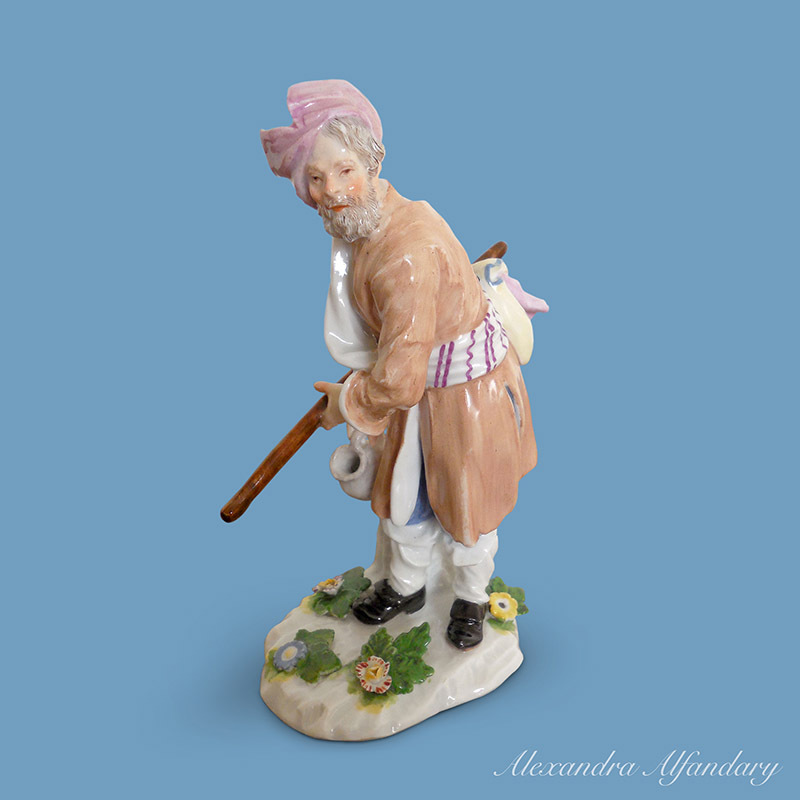 The face of the figure is beautifully detailed. 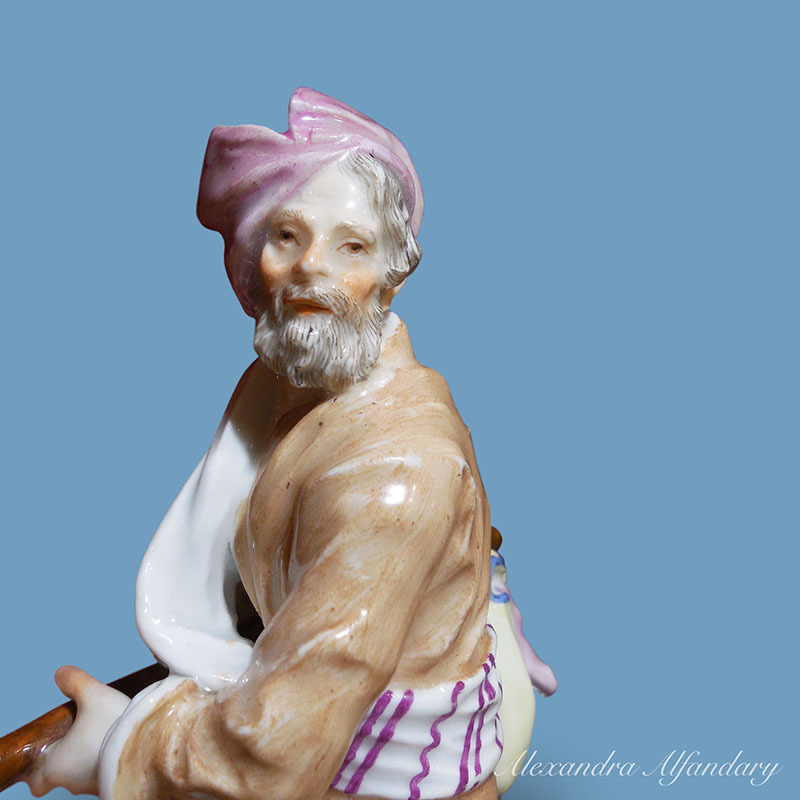 Meissen crossed swords mark to near the rear edge base, Meissen c1750.